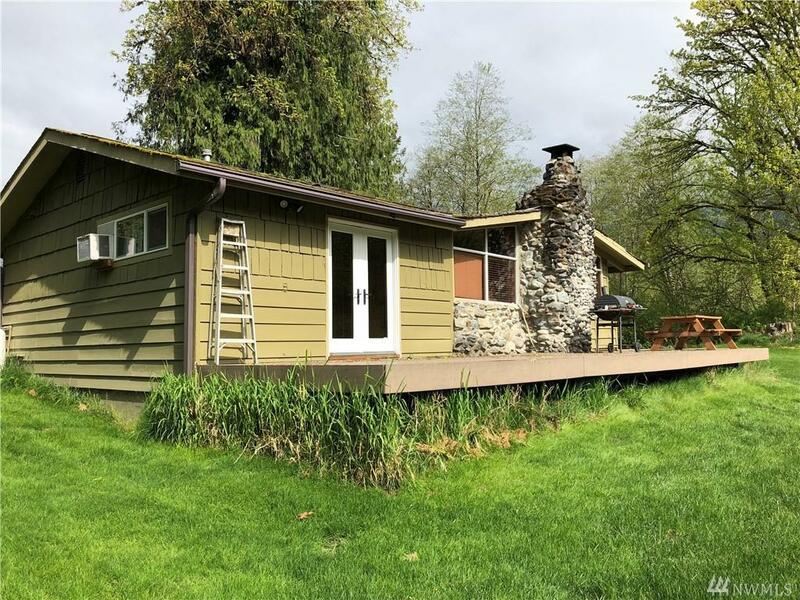 Charming Cabin with stunning glacier view on the North fork of the Stillaguamish river. 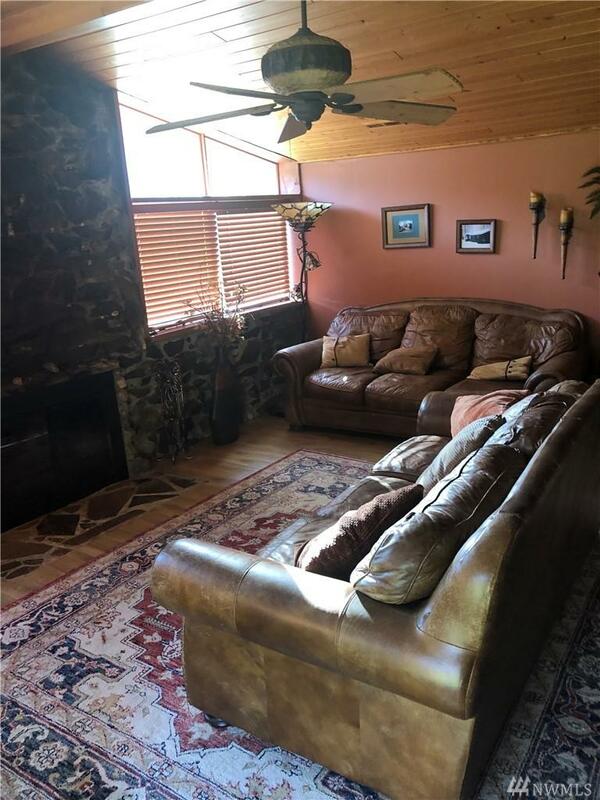 Serene location with level, grassy yard and 200' of riverfront. 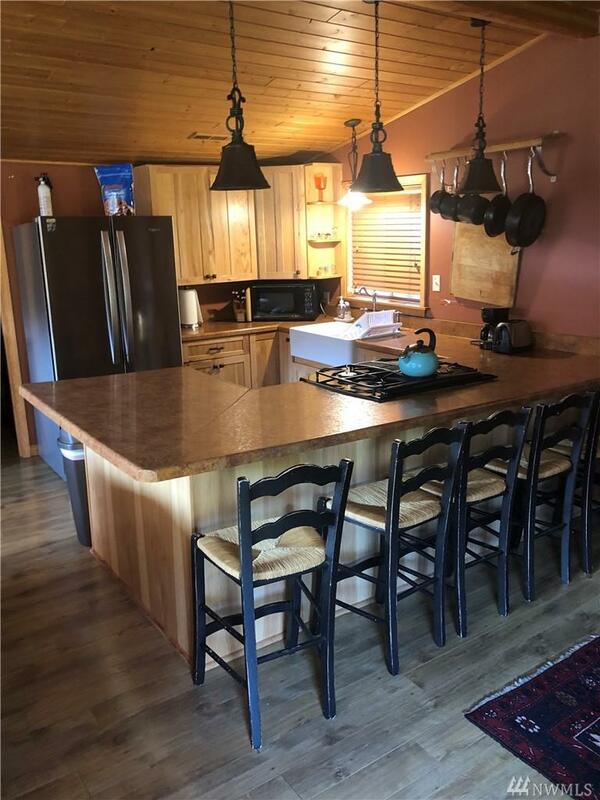 Open floor plan included Kitchen with large, apron sink, pendant lighting gas range, generous eating/serving bar and newer cabinetry. Gorgeous stone fireplace. 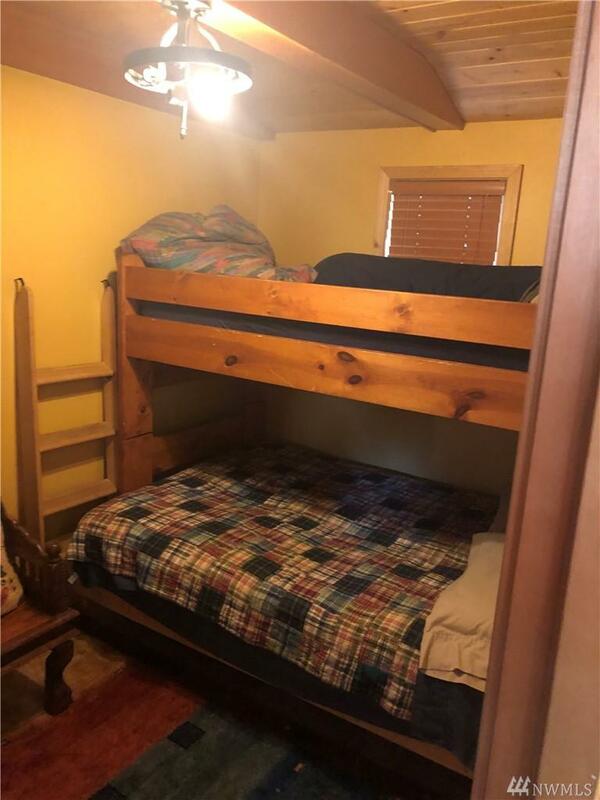 Two bedrooms, one with plenty of space for a King size bed. Master bedroom w/french doors open to deck. Bathroom boast beautiful fixtures, corner shower and stone floor.